ISHTA yoga was created by Kavi Yogiraj Mani Finger in the late 1960s in South Africa to acknowledge and celebrate the many different lineages of yoga that passed through his doorway. Mani sought to bring clarity to these different systems by relating them back to the individual through one fully integrated system. He developed the ISHTA system after collaborating with several prominent gurus including Paramahansa Yogananda, Swami Venkatesananda, Swami Nishraisanada, and finally Tantric Master Bharati. Finger was initiated into Kriyaban by Paramahansa Yogananda in Los Angeles and studied at the Yoga Vedenta Forest Academy at Rishikesh Himalayas, India, where he was initiated by the saint Swami Sivananda as Yogiraj (Master of Yoga) and then later as Swami Yogeswarananda. 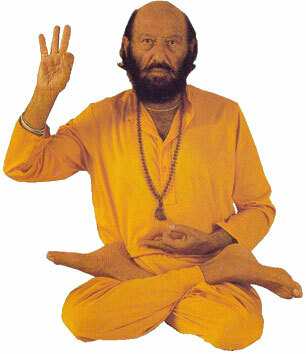 He was accepted into the select order of Initiated Tantric Yogis, and initiated by H.H. Kavi Yogiraj Bharati, Swami Shuddhananda of Madras. Besides being the founder of ISHTA yoga, Mani was also the Life President of the Yoga Teachers Fellowship of Africa and Patron of the International Yoga Teachers Association. After having founded the ISHTA system of Yoga, Mani was honoured as Honorary President of the United Nations of Yoga World Organization for the year 1973. Wendy Wood (Nandiva) is an initiate of Kavi Yogiraj Mani Finger and has been practising yoga for over thirty years. After Mani left to live in the USA in the later part of his life, Wendy, inspired by the teachings of her guru, mentor and wonderful friend, continued the tradition of ISHTA by creating the ISHTA School of Yoga & Health. The studio began in the confines of a small studio in the house next door to where it is currently located and, as the studio grew, was later moved to new, renovated premises at 121 Atholl Road. Nandiva – a spiritual name given to Wendy by her guru Mani – is a name derived from the Bilaspur goddess Naina Devi who, being the goddess of eyes, saw things that most others could not see. Nandiva, who used to read Mani’s articles in the Rand Daily Mail, new from just her second yoga class that she wanted to be a yoga teacher. When her first teacher Joy retired, Nandiva made her way to the studio of Kavi Yogiraj Mani Finger. Their close association, which developed over many years, was not severed by Mani and his family’s relocation to the USA and has continued, even after his death, at the ripe old age of 93. “Mani used to say that yoga is like sugar. You can’t explain the taste of it. You’ve just got to try it for yourself”.